Last week I was able to disclose news of a merger between the TTXGP and FIM e-Power electric motorcycle racing series. While the news itself was exciting and promising to heal the schism between those two series, it left out some important details. These details are important ones that race teams must know to plan their year, line up sponsorships, and more. 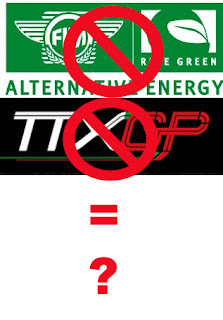 In previous years the schedule for both TTXGP and e-Power was published in January or earlier, giving the teams time to prepare and schedule themselves. Likewise the rules and series name were already known quantities. The press releases were sent over a week ago. Time is ticking and the teams need to know the plan.